A qualification in Logistics from Major Training Group opens up entry-level and experienced job opportunities. This program is run over an intensive 3-8 week period, with classes scheduled 2-3 days per week. Whilst the course is intensive, self-paced, flexible options are available. A qualification for those engaged in logistics operations within the Transport and Logistics Industry. It involves a defined range of skilled operations, usually within a range of broader related activities involving known routines, methods and procedures, where some discretion and judgement is required in the selection of equipment, services or contingency measures and within known time constraints. It may also include responsibility for coordinating the work of others. Major Training Group courses offer flexible and easy to access options with an emphasis on quality and customer service. Start at any time through out the year. You may be able to fast track your learning. Your life experience, past education or industry training could qualify you for RPL. Applications are available through Major Training Group. See our RPL page for more detail. Funding support and employer incentives may be available under the Australian Apprenticeships Incentive Program if the relevant criteria are met. Individuals completing their first post-school Certificate III qualification could be eligible for the Certificate 3 Guarantee subsidy. For more information about possible funding support call Major Training Group today. 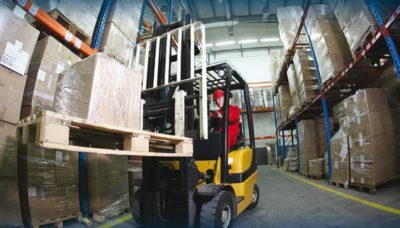 If you want your forklift licence, have your licence or are looking to up skill, sign up for a Certificate III in Logistics. This qualification will see you earn a nationally recognised qualification.